I like that you push domestic stallions. [I advertise on WarmbloodStallionsNA.com because] you do MY work for me. You have a large following, you do periodic bursts promoting my boys. I learned long ago to go with the place that had the most followers - the most bang for the buck. You offer that. I am a big believer that the more your ad is seen, the better your chances of getting results. 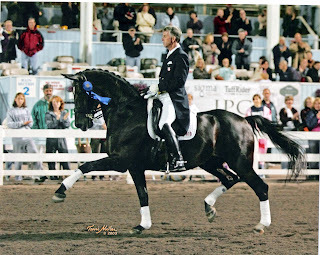 We have gotten breedings by advertising my stallions on WarmbloodStallionsNA.com. It isn’t like a print ad where it goes away after a month. I like that all my stallions are advertised in one place. I like how you work with stallion owners and how responsive you are replying to emails. I have recommended WarmbloodStallionsNA.com to other stallion owners. In fact I told the stallions that I have for clients on my farm that yours is the only [paid] advertising I am doing this year. Your home page has a lot to look at, in a good way, [with] plenty of information for people wanting to learn more about what stallions are out there. Your stallion spotlights are great, your breeding news and announcements are helpful for the stallion owner because people want to know what the stallions are producing. 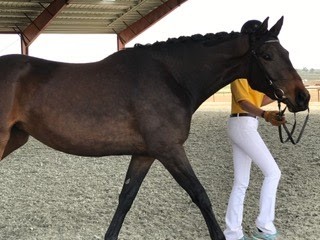 I advertise on WSNA because, in my opinion, it is the best internet resource when it comes to searching for Warmblood/sporthorse stallions, and because Anna does such an incredible job with the site. For mare owners it is visually appealing, easy to search, and provides a lot of information on each stallion and their offspring. For stallion owners, they receive a lot of "bang" for their buck in advertising. The extra features that Anna added last year spotlighting stallions/breeders is an added bonus! "Being able to include not only photos of my stallion but of offspring as well is really nice. Plus, having all of the information there regarding costs, location, and contact information, with links to additional videos, website, etc., makes it a great 'one stop shop' where mare owners can find out a lot of information on any given stallion in one place. "I try to ask people where they have seen my stallion advertised, but I don't always remember to do so. However, there have been several who have specifically mentioned seeing him on WSNA. And, when the magazine was in print, other breeders and friends who were horse people (but more riders than breeders), would contact me with excitement because they saw my stallion's ad in the magazine. I think the results are definitely worth the very reasonable cost that is charged to advertise. The fact that there are several advertising packages means that there is something for everyone's budget. WarmbloodStallionsNA.com is easy to use and has widespread reach. The platform is excellent, and I would absolutely recommend it. Stallion layout is easy to get through and as a stallion owner, loading content is very simple. Annual renewals are easy and the extra benefits that come with the packages available are far better than most other online advertisers. Lots of extra benefits are included in the advertising that make the advertising worth the expense. The digital platform has a far bigger reach than traditional print advertising. A new generation of advertising is needed to meet the demands people have for easily accessed information. Since most people spend their time exploring the digital world, we have gotten more responses through the site than we did when it was in print form. Anna makes Warmblood Stallions of North America unique, and I enjoy working with her. I believe she keeps her finger on the pulse of what is going on in the breeding world, ... and I believe she has a very broad reach. And she is accessible to answer questions. I advertised in several places last year so can’t be sure where the best results came from, but Sea Lion did breed twice as many mares as he had the previous year. I would absolutely recommend www.WarmbloodStallionsNA.com to other stallion owners. I admire your commitment to the US breeding community. What's unique is that your site is stallion-focused, and the cross promotions. Your website is easy to navigate and you do a good job on Facebook posts, as well giving a broader coverage than some. —Natalie DiBerardinis, Hilltop Farm, Inc.
Before Warmblood Stallions of North America was an online stallion showcase and marketing platform, we produced an annual print magazine. The last one was printed in 2017, and these are a few of the testimonials for the print magazine. We try to maintain the same standards of quality online that we did in print. You're so funny! Patient too. I think if anyone asked me I would have to say you have the patience of a saint! Received a free copy of your mag. Really enjoyed the most recent issue, which I read cover to cover. Tell your advertisers that it caused me to reconsider my stallion choices for 2015 and will be contacting a few of them about their stallions. Thank you for producing a gorgeous warmblood showcase that combines the convenience of internet browsing with the tactile, keepsake quality physical printed issue. We're impressed! 21% of the businesses listed in your 2016 issue did business with us in 2016; sales from those businesses increased 257% from 2015.